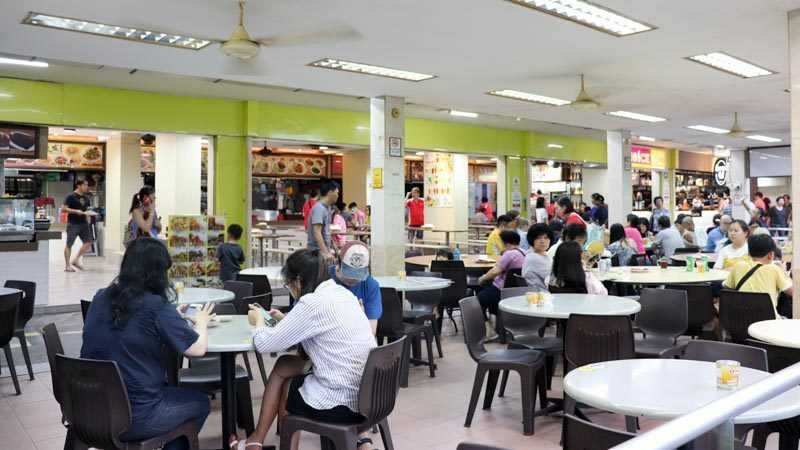 Zi char stalls are planted in every other corner of a hawker centre here in Singapore but finding one that is both affordable and scrumptious was an arduous task. It predominantly encompassed an array of Chinese dishes. Yet, it is an undeniable truth that some stalls stand out brighter than the others. 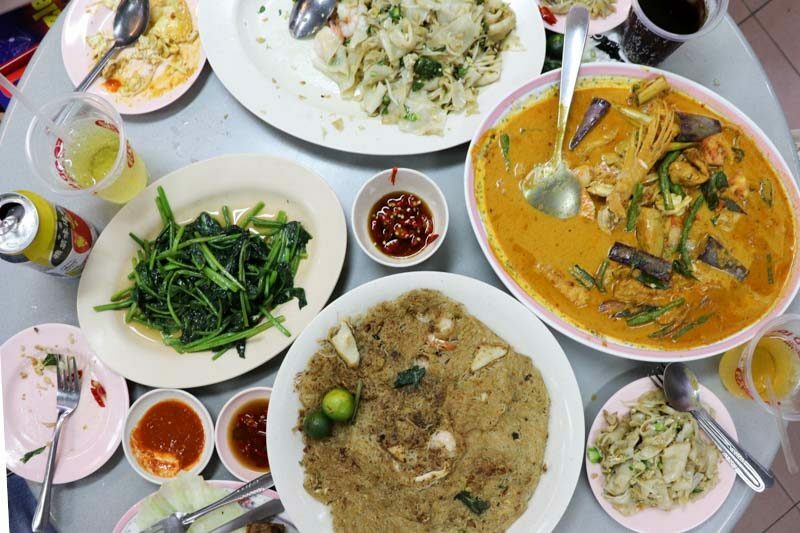 Hao Kee Seafood Deluxe is unquestionably one of those stars of the Toa Payoh district. Lodged at the corner, the bustling stall was already entertaining many hungry tables even before the stipulated dinner hour. I was told that most of their signature dishes were off-menu, yet it wasn’t that hard to figure out what they were. Every table around us ordered the same few dishes. Our kiasu nature just had to try it for ourselves and we went along with what Hao Kee’s Owner and Chef Jeremy recommended. 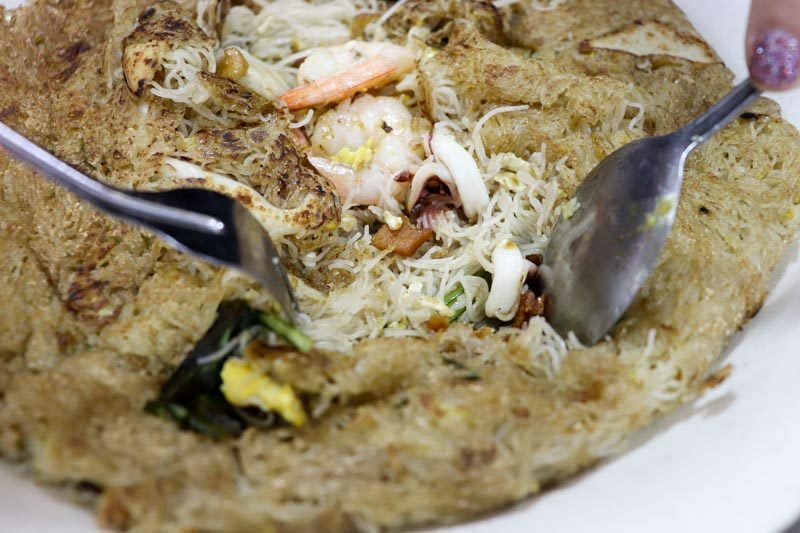 The Chao Tah Beehoon (S$18 for large), otherwise known as burnt beehoon was Hao Kee’s best-kept secret — but not anymore! Upon first look, it seemed like a dense portion because of its pancake-like demeanour. Yet as we cracked into the charred surface that blanketed the depth of the dish, we discovered a generous cluster of seafood that cosied up beneath. Like curious cats, there was no time for hesitation and we plunged right in. The kick of the wok hei hit me instantly as I closed my eyes to relish in that oomph. The prawns, squid and fishcake amplified the value of the dish and the parched bits gave the dish a pleasant edge. I was surprised to find chunky lard bits but after a few morsels, I could see the reason behind doing so. Its sinful saltiness brought the whole dish together and offset any excess brininess from the fresh seafood. Simply a match made in heaven. It is worth noting that Chef Jeremy whips up every single plate of his signature beehoon dish, by himself. One portion normally takes 15 to 20 minutes of cooking time, so it’s best to call in days in advance to avoid disappointment — or bear the consequences of a possible two-hour wait. Another top hit, Chye Poh Hor Fun (S$15 for large). 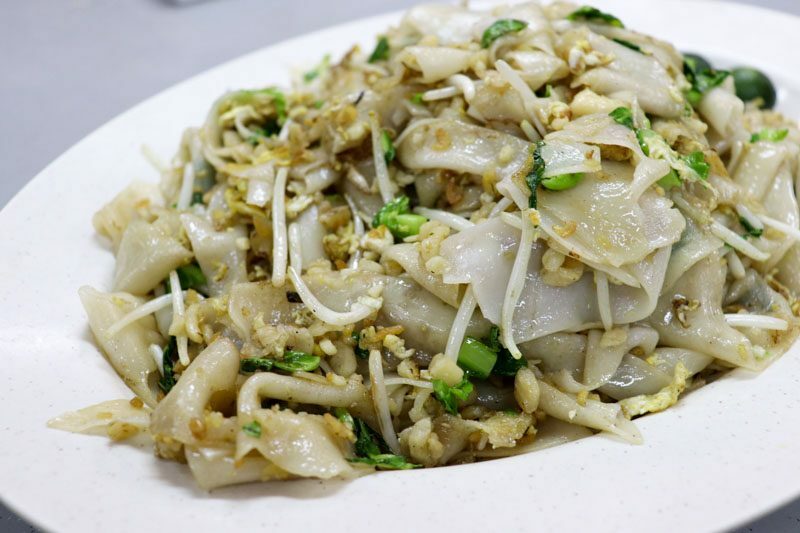 The Teochew dish comprised stir-fry of flat noodles, beansprouts, egg, Chinese vegetables and the star – chye poh (radish bits). Judging from its appearance, it seemed like any regular hor fun. 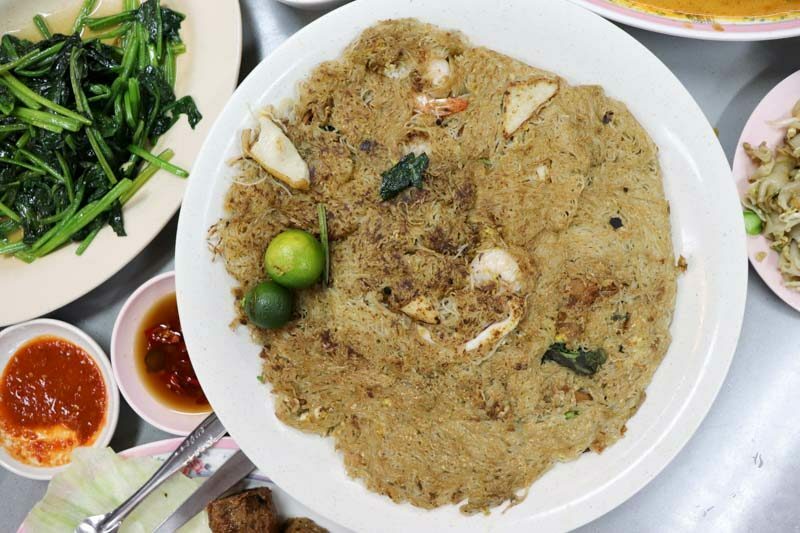 Plus, chye poh fried with noodles? I only knew it as the staple topping of chwee kueh (a popular Teochew dish made of steamed rice cake), so this unusual combination wasn’t particularly enticing. Mixing it up, I could smell the smokiness that came from the wok hei. 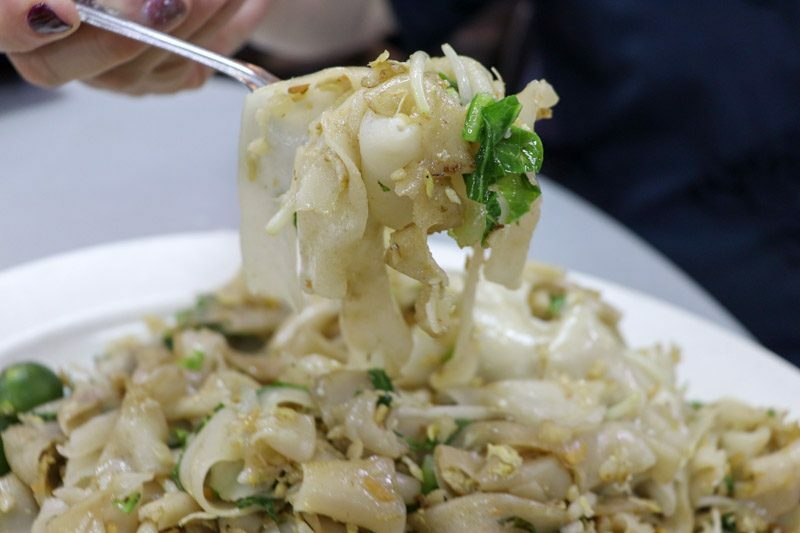 The flat noodles gleamed under the fluorescent lighting and weren’t too oily. 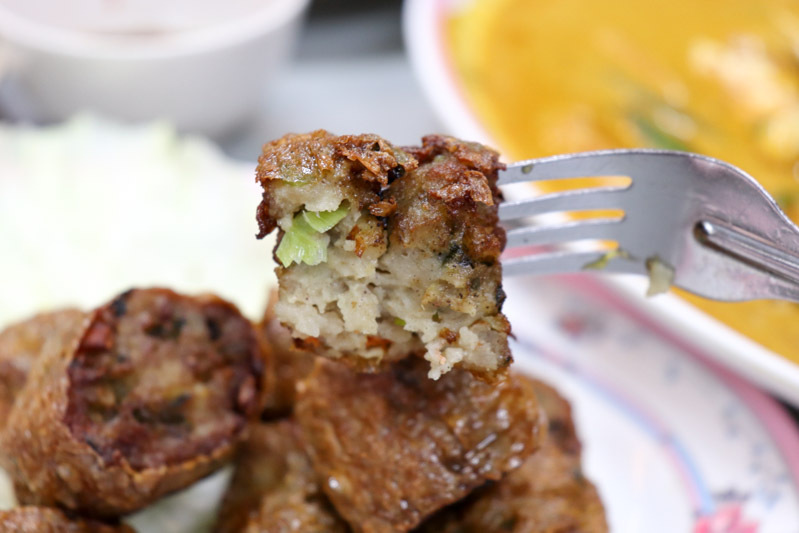 Let’s talk about those bits of chye poh though. Initially, I thought the sweetness of the radish had an odd standing in the dish but the more I munched on those tiny hidden treasures, it proved to be more complementing than contrasting. Together with the punch of zest from the lime, the signature dish fit especially well together like peas in a pod. We were told the Curry Fish Head (S$24) was the popular choice between itself and Assam Fish Head and so we went forth with the order. 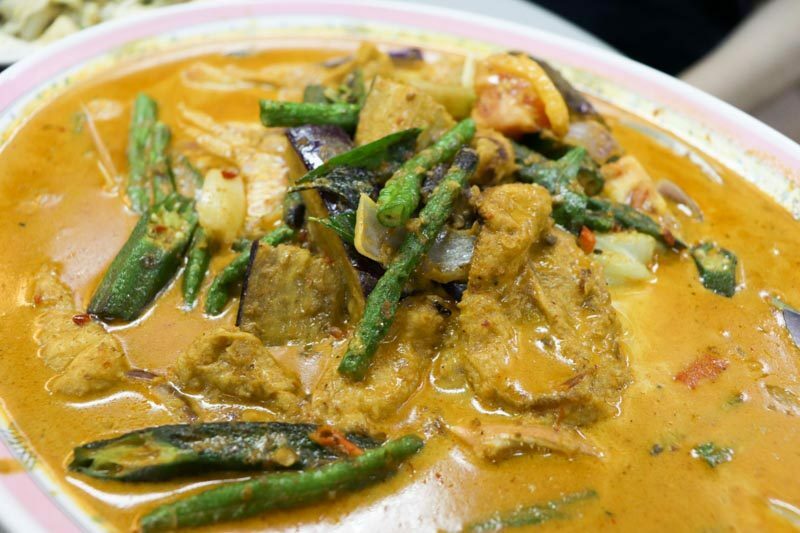 The stew came with taupok (beancurd puffs), an assortment of vegetables like brinjal, tomatoes and long beans and of course, a meaty fillet of fish. Its fixed serving size could easily feed a sharing party of four. 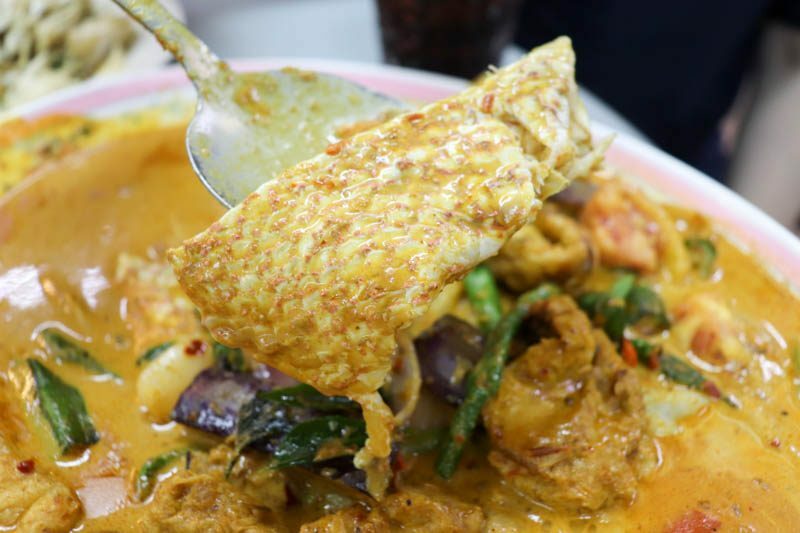 The gravy was extremely rich and creamy and just the right amount of lemak (coconutty) and the red snapper delicately melted in our mouths. Leagued with the kick of spice that augmented the dish and braised vegetables, the dish was however rather simple to showcase Chef Jeremy’s skills. Don’t get me wrong, it wasn’t boring — it was just rather standard for it to be raved about. Lastly, we tried the Fried Beancurd Skin Roll (S$10), or more commonly known as ngoh hiang or hae zhou. 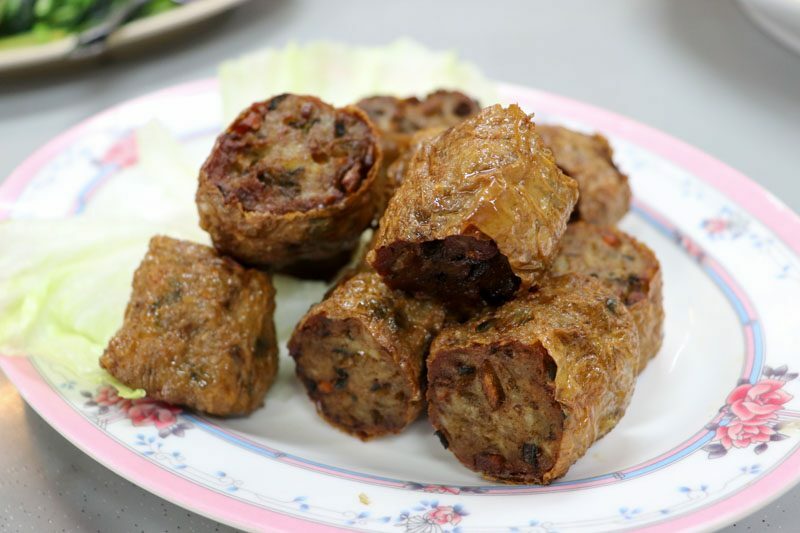 The bite-sized snack is made up of minced prawn, pork, diced vegetables and a whole lot of soul. Rolled up in thin beancurd skin then deep fried, I warmly welcomed these addictive nibbles into my list of best Asian snacks. I was fondly reminded of my grandmother’s homemade ngoh hiang and how it was diabolically addictive. It was crisp on the outside and packed a burst of sentiment with its fresh, hot meat filling. I wanted to dabao some home! I’ve yet to try more of the dishes here at Hao Kee but until then, I believe they’ve done a fantastic job at perfecting their renowned creations. 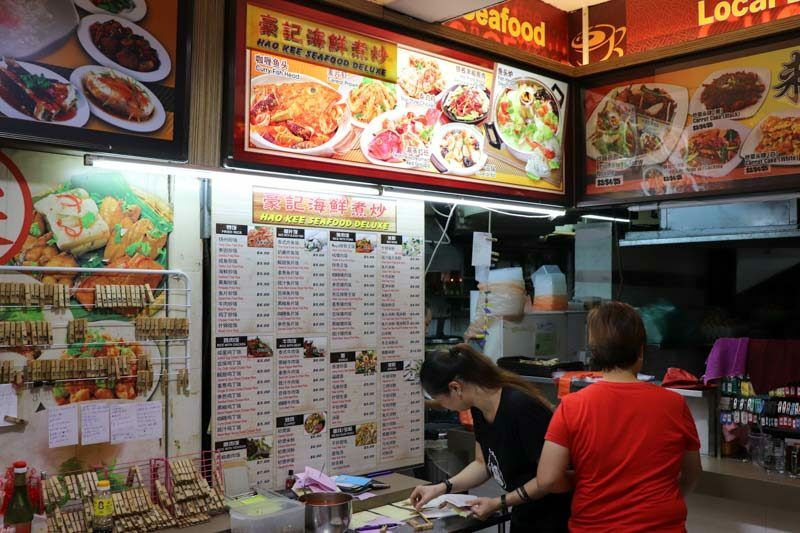 There can never be that one all-rounded zi char place that will excel in every dish on their menu but at least for Hao Kee, they’ve done a commendable job. Nothing truly beats the sight of a jam-packed table of irresistible dishes because it’s the ultimate view to revel over the glorious meal. Planning to have a hearty meal over jubilant conversations? Hao Kee Seafood Deluxe not only checks those off your wish list, they’ll make sure it gets saved as your future go-to zi char place.